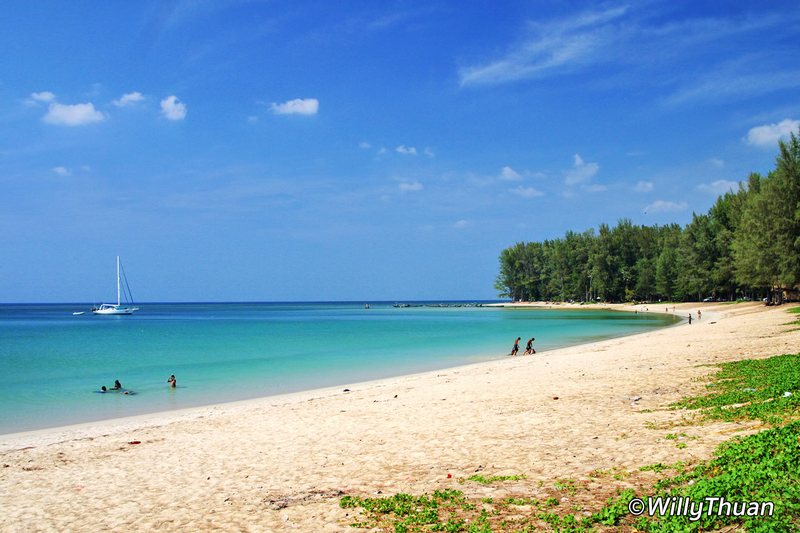 What Are Phuket Best Beaches? Somehow, there are two kinds of beaches in Phuket: Beaches where people book their hotel and beaches where people spend the day. Beaches where people book their hotel: Most people like to book their hotel in Patong, Kata, Karon, Kamala and Bangtao beach for convenience. These beaches do have a lot of restaurants, shops and of course nightlife but on the downside, they tend to be busy or even crowded. 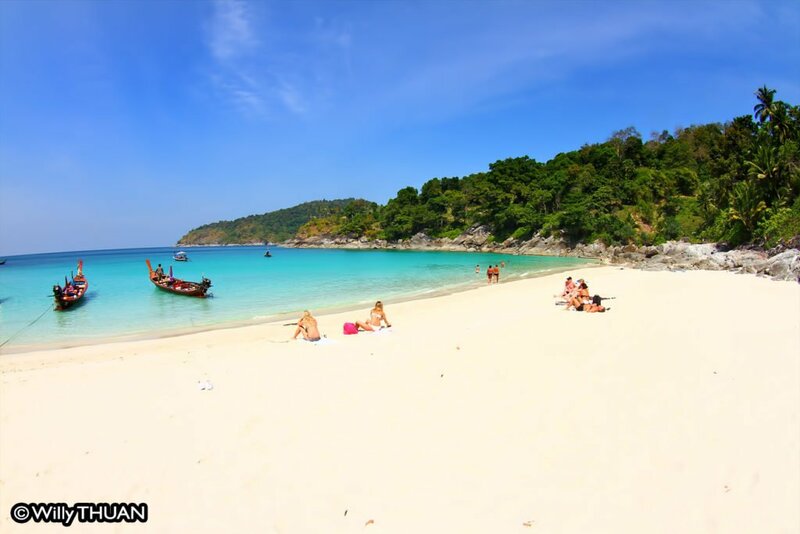 Beaches where people only spend the day: These beaches usually have very little or no accommodation at all but are great to spend the day for the quality of their sand and water and a relative peacefulness you won’t find in Patong or Kata Beach. 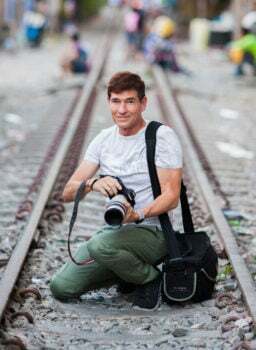 Best known are Nai Harn, Freedom and Surin. 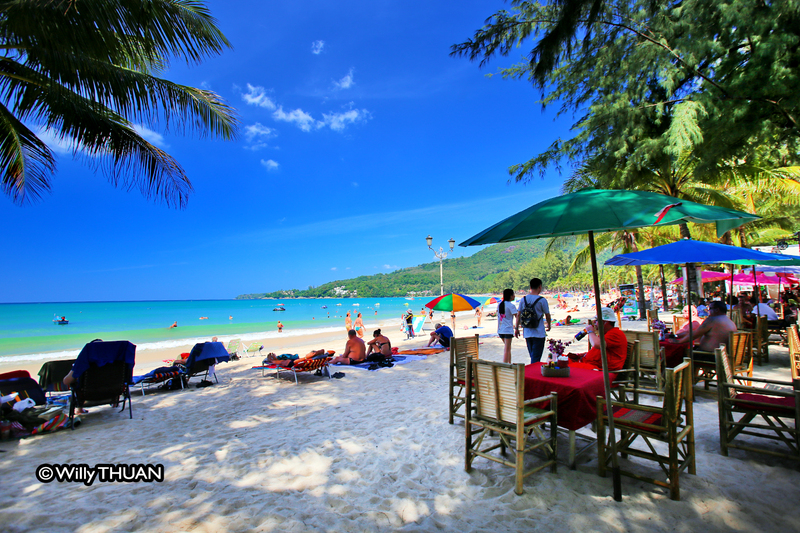 Kata Beach is the most popular beach in Phuket after Patong. 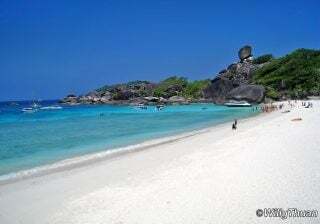 It is an excellent choice as it also enjoys a wide white sandy beach with an incredible blue sea during high season. 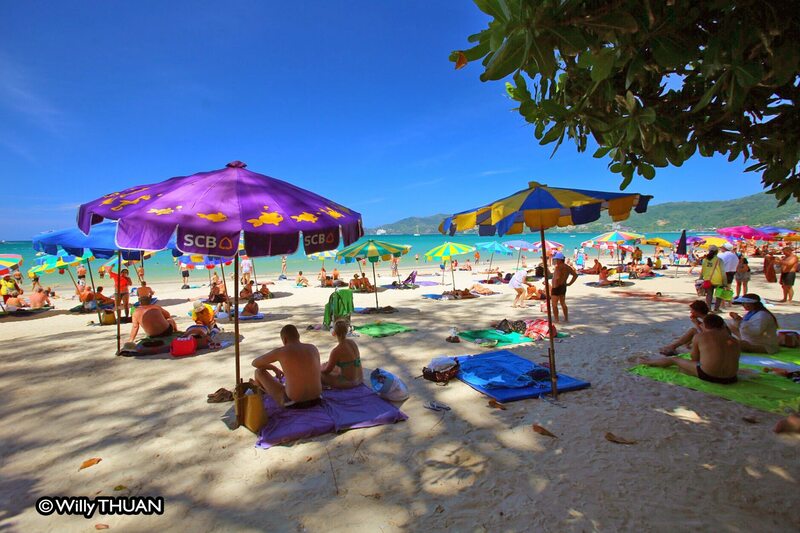 Kata is less crowded than Patong and offers a large selection of dining, shopping, hotels, plus a decent nightlife! Go to that beach! If Bangkok is the Big Mango, then Patong is the Big Durian: you’ll love it, or you’ll hate it. Patong Beach is beating heart of Phuket Island and what makes it irresistible to some, is often what other people complain about. It’s big, bold, crowded, bright and loud, yet people flock there like flies on honey. Go to that beach! 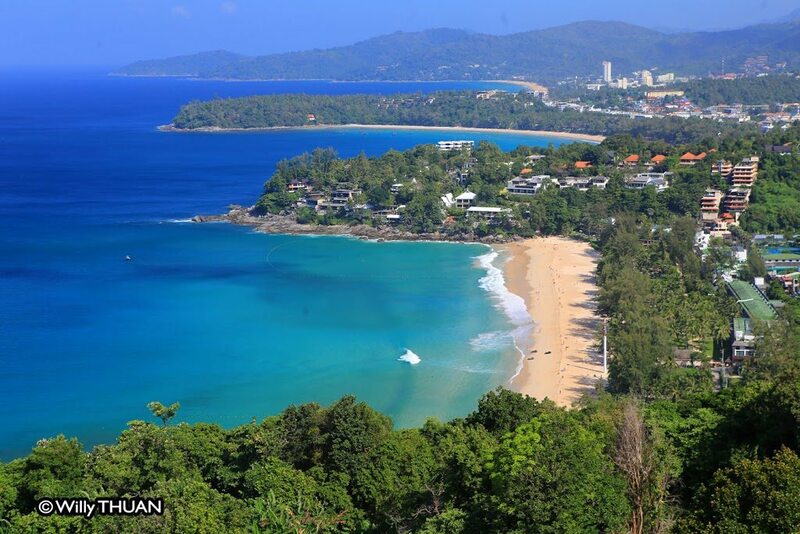 Karon Beach, the second longest beach in Phuket, with a very long and wide stretch of white sand with pleasant dining and nightlife. It doesn’t seem to attract the crowds, and it’s not because the municipality hasn’t tried. Go to that beach! 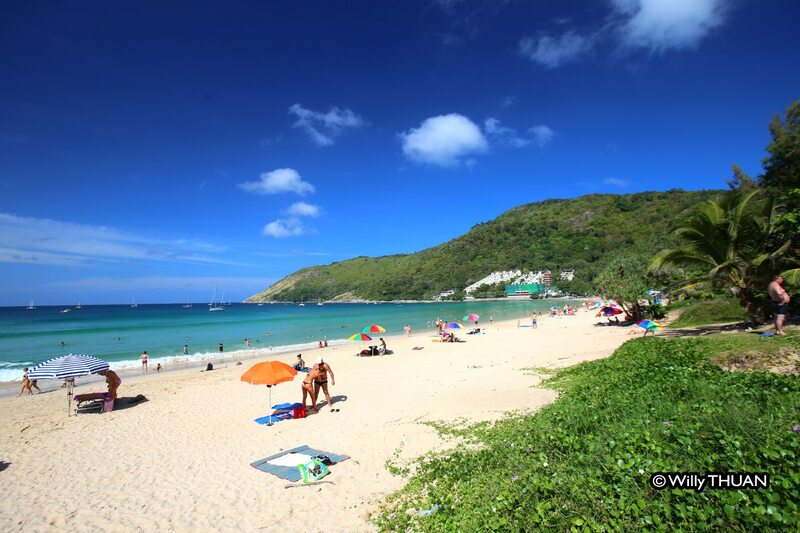 Nai Harn is a lovely beach surrounded by green hills and islands, very different from the typical west coast touristy spots. It may be changing with just a handful of hotels but still holds on to its local feel. The beach is in a sheltered bay where sailing and fishing boats anchor in calm waters. Go to that beach! Kata Noi Beach is a great little bay if you want to be near Kata but stay away from the tourist herds. This beautiful strand of sand had incredibly clear blue water during the high season and was once voted one of the most beautiful beaches in the world. Fortunately, its ‘Out of the way’ location kept it relatively quiet, and unless you know about it, you probably will miss it. Go to that beach! 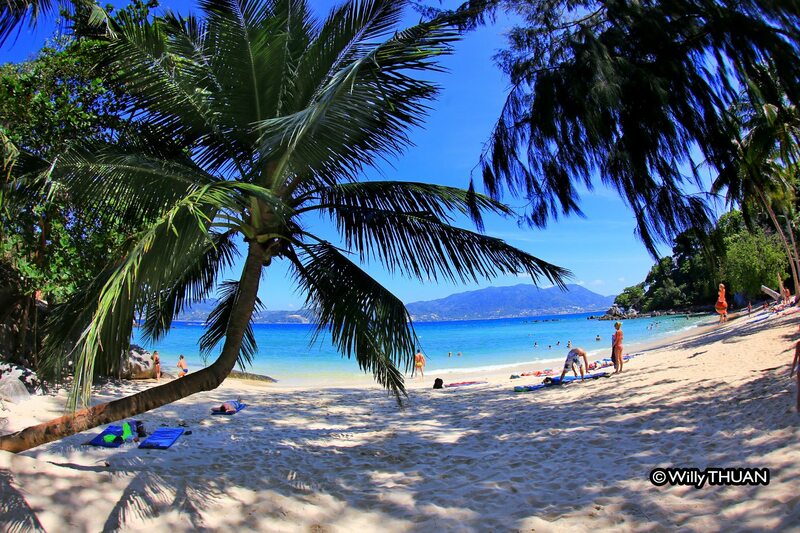 Laem Singh has always been one of Phuket favourite beaches, like a Caribbean beach, a bit nostalgic, very green with its palm trees leaning over the sand and you have the beach almost for yourself. It looks and feels like a hidden Robinson Crusoe hideaway, even more since access to the public was closed in 2017. But there is still a way to go there. Go to that beach! 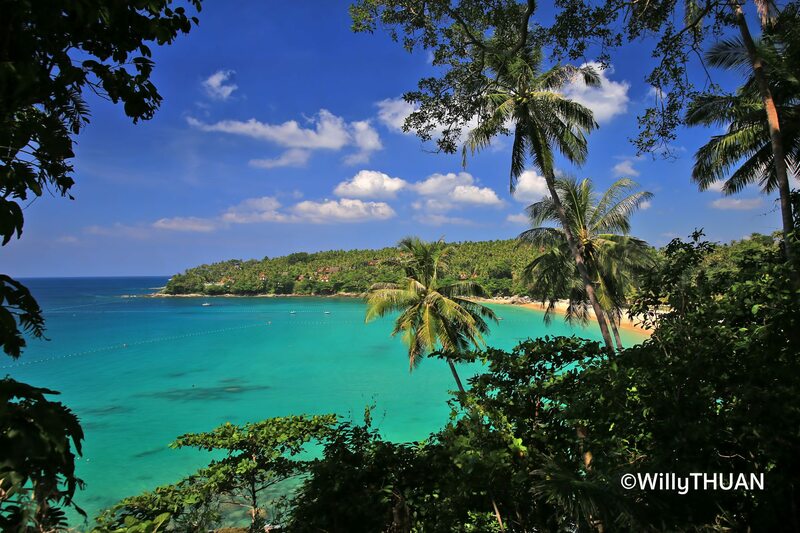 Ya Nui is tiny but has the charms of a small beach, tucked in a cove between the Windmill Viewpoint and famous Promthep Cape in the very south of Phuket Island. It looks like a secret beach, but it is not, and a lot of people come to enjoy it, especially for snorkelling and even beach diving. It’s just easy to miss it if it was not for the number of cars parked along the road. Go to that beach! 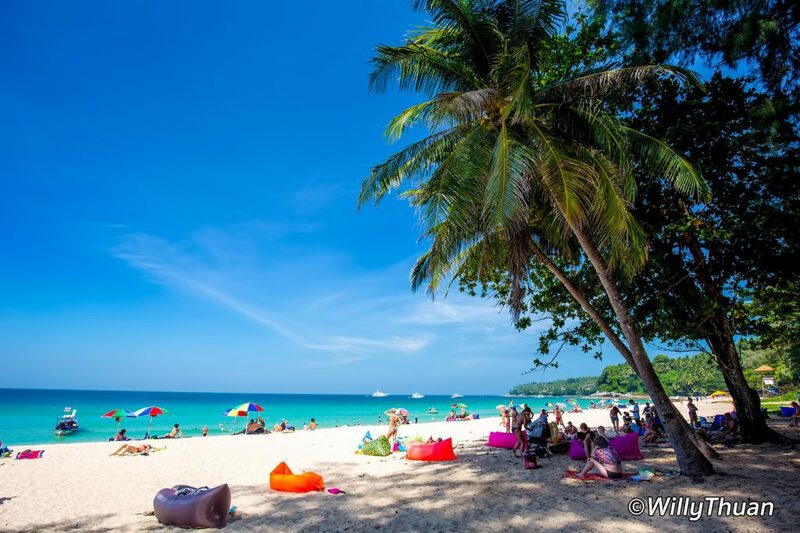 Kamala Beach used to shine by a lack of particular signs, but everything changed with the arrival of Fantasea Park and the world famous Cafe del Mar beach club. It is a beautiful beach with clear waters, especially in the northern end, and the village of Kamala offers a decent amount of dining and shopping options, several hotels, including some with beach access. Go to that beach! 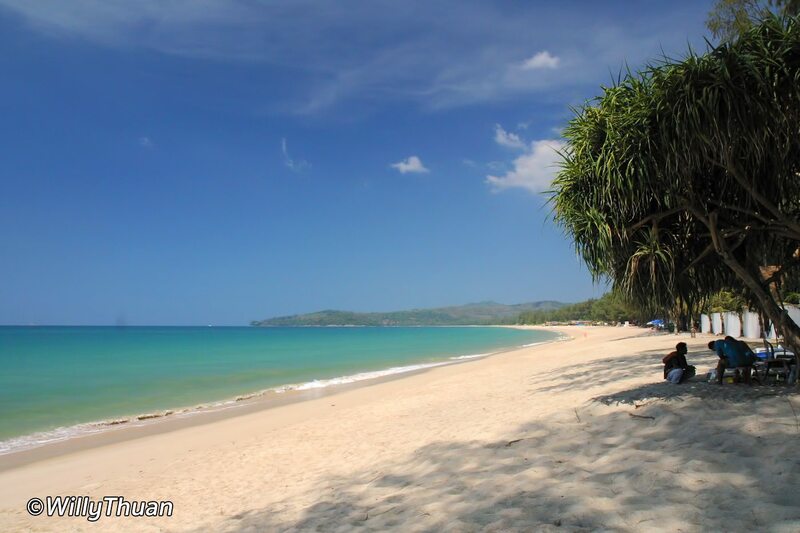 Bangtao is one of the longest beaches in Phuket, halfway between airport and Patong on the west coast of the island. 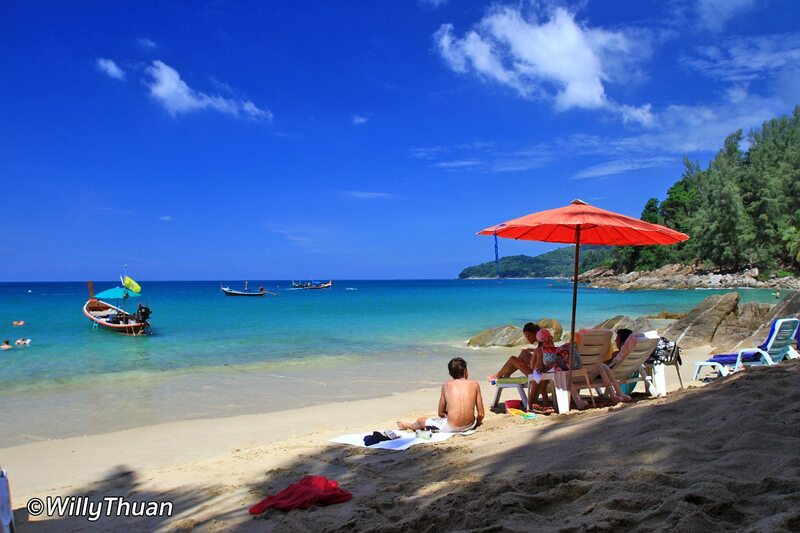 With its beautiful stretch of sand, Bangtao is always associated with the resort complex known as ‘Laguna Phuket’. 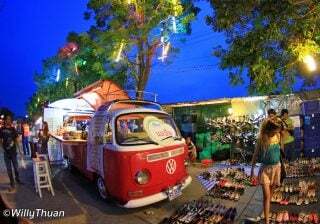 In recent year Bangtao has become one of the most lively and trendy beach destinations in Phuket with many beach clubs and the vast choice of beach dining. Go to that beach! 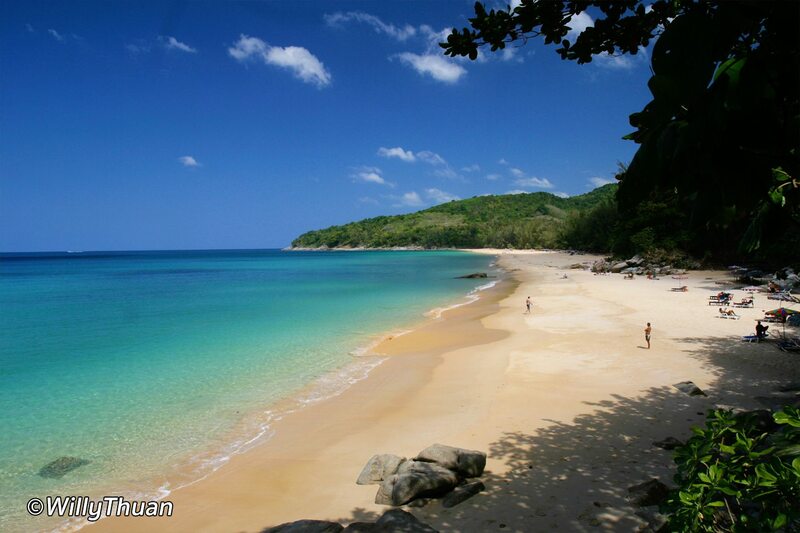 Mai Khao Beach is 11 km long, the longest in Phuket. Strangely it still looks as peaceful and deserted as it was when I first visited it in 1990. They built a few hotels, but beach chairs, umbrellas and food vendors didn’t invade the beach yet. You can still walk eleven kilometres and only meet three people, and the beach remained mostly untouched. Go to that beach! 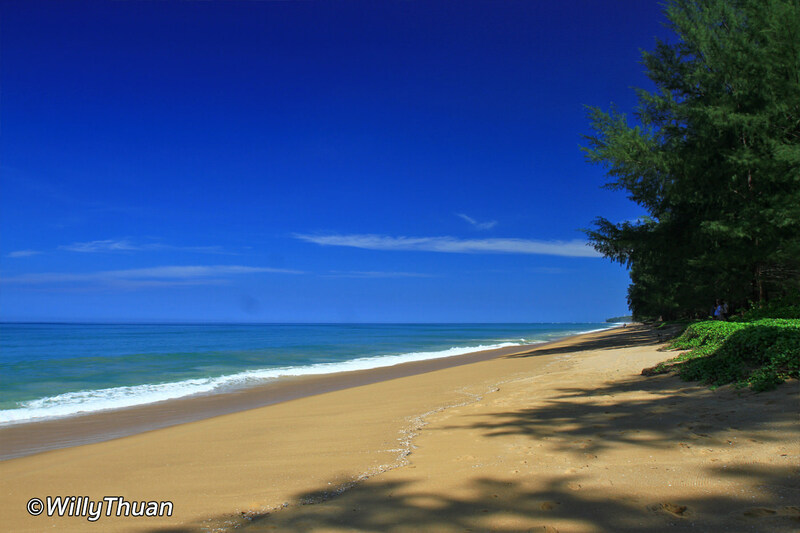 Surin beach is now an empty beach. It used to be a great place to relax on beach chairs, walk to one of the many bars or restaurants all along the beach and choose from a myriad of vendors. You could rest on the comfortable sofas of the many beach clubs but all this is now long gone, and Surin beach is now 100% natural. Go to that beach! Paradise Beach’ sounds good. With such name, people expect to discover another ‘beautiful-secret-hard-to-find-beach’ located near Patong. And yes, to its credit, the sea is very blue, sand is powdery and cute little boats are gently bobbing in the bay. Yes, it is small, remote and not easy to find. But paradise beach has become a theme park with an entry fee of 100 baht or more. Go to that beach! 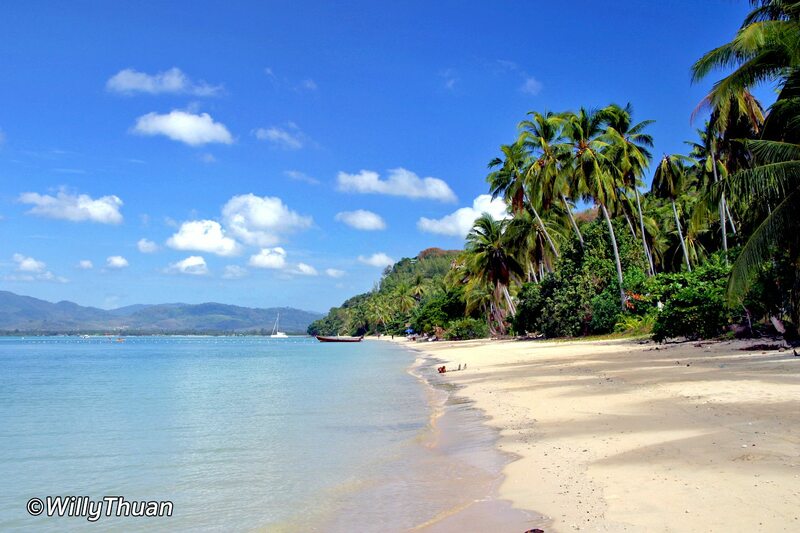 Private beaches are not allowed in Thailand, but you can get around by merely owning all lands around that beach. And those beaches are often the most beautiful ones. 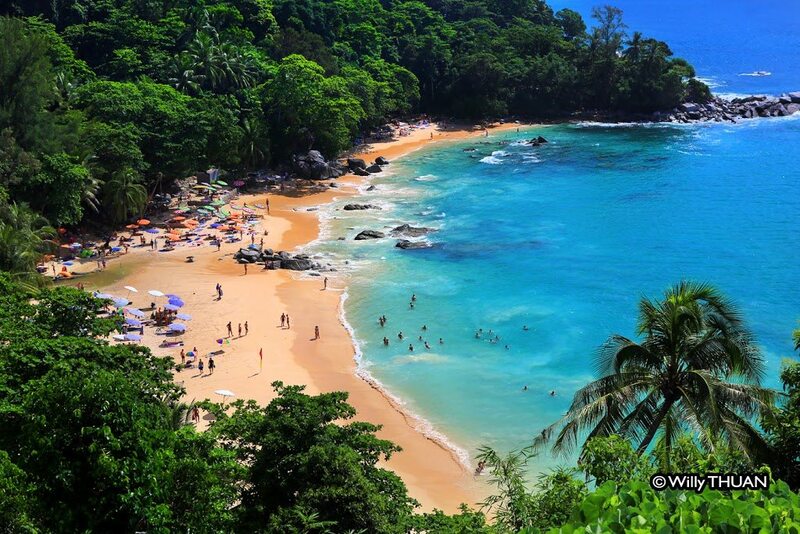 Pansea Beach, shared by ‘The Surin Phuket’ and ‘Amanpuri Phuket’ is one of those amazing beaches. Go to that beach! 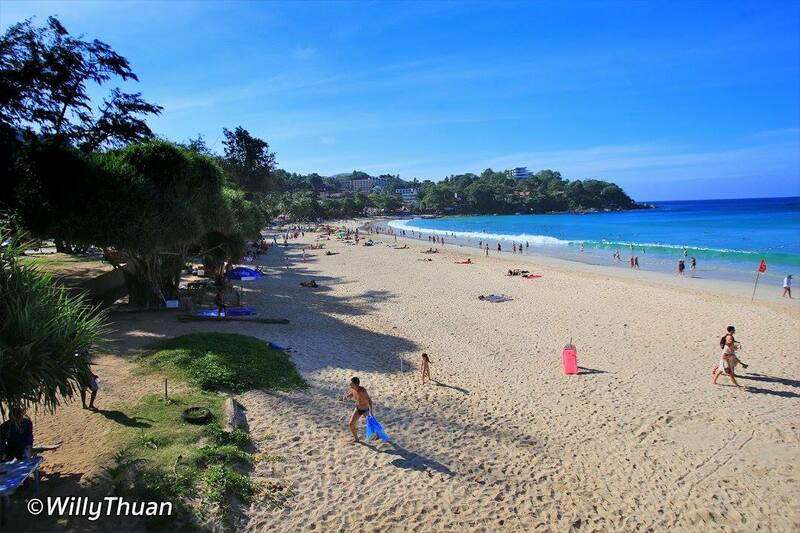 Nai Yang Beach seems to be one of those beaches popular with returning tourists. 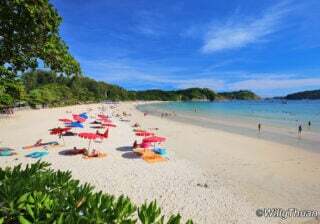 It is a beautiful shaded beach full of tiny fun bars and restaurants, but like most of the northern shores of Phuket which are not along the main road, it remains relatively unknown and is a welcome escape from the crowds. Go to that beach! 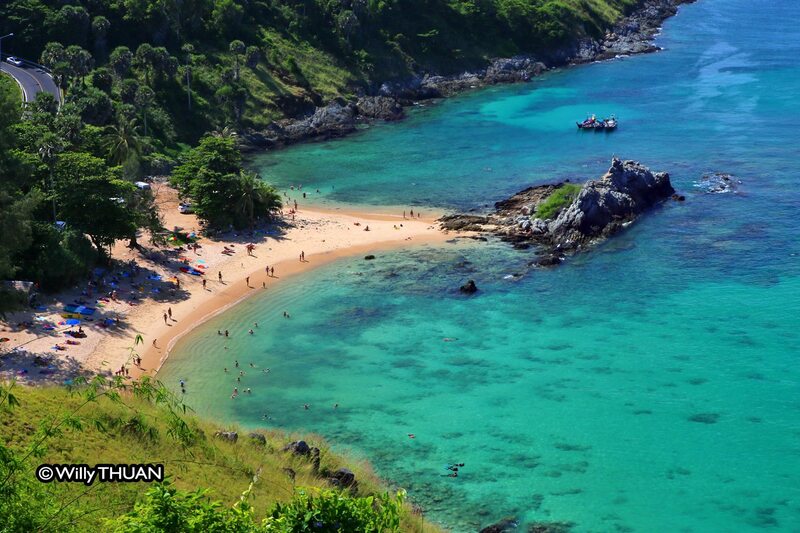 Naithon Beach is a little-known beach on the west coast of Phuket, mostly because it is far from the main roads. People coming here are usually in search of a peaceful spot with just enough facilities and hotels. Go to that beach! 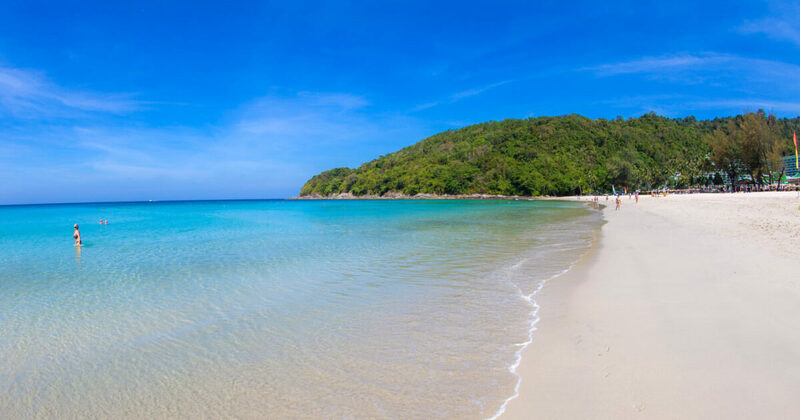 Ao Sane is a tiny hidden beach, visible from Nai Harn Beach, but unless you know that you need to drive through The Nai Harn hotel, you will never find out. 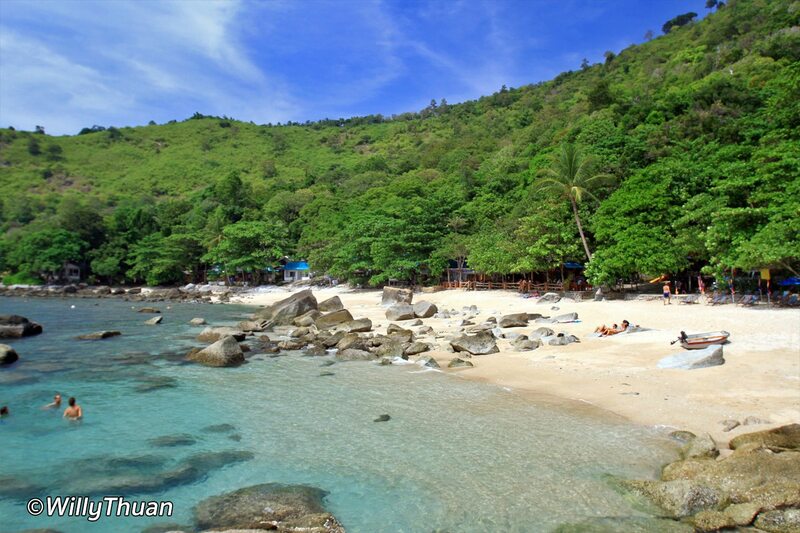 Ao Sane consists of three tiny sandy bays, and you can walk from one to another through the few beach bungalows. Go to that beach! Phuket is a world-wide famous holiday destination. Every corner of this tropical island has been explored, invaded, sold, developed and exploited. Or so you thought! Still, one tiny beach is hiding from the crowd, but it won’t last long. Go to that beach! 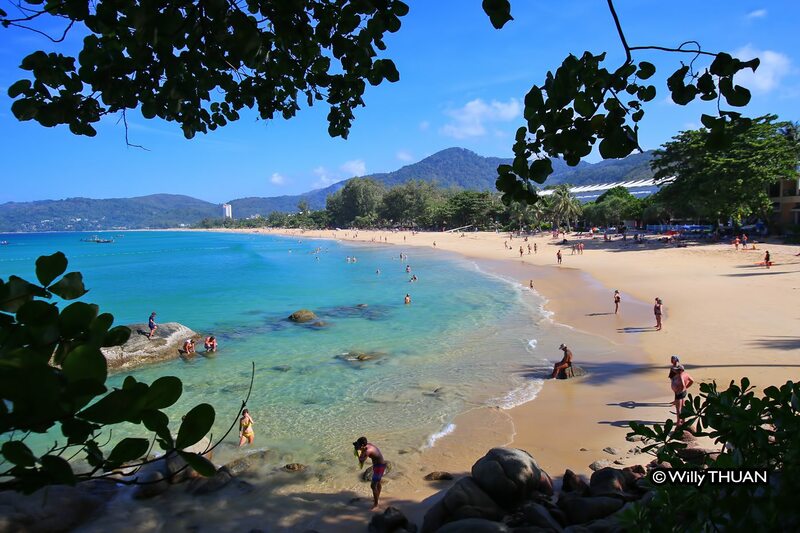 Panwa Beach, also known as Khao Kat Beach, is not a swimming beach, and yet has the charm of these remote bays not many would take the time to explore while visiting Phuket. Located on the east coast but facing west, the area is home of luxury villas and few resorts, a great alternative to relax away from west coast crowded spots. Go to that beach! 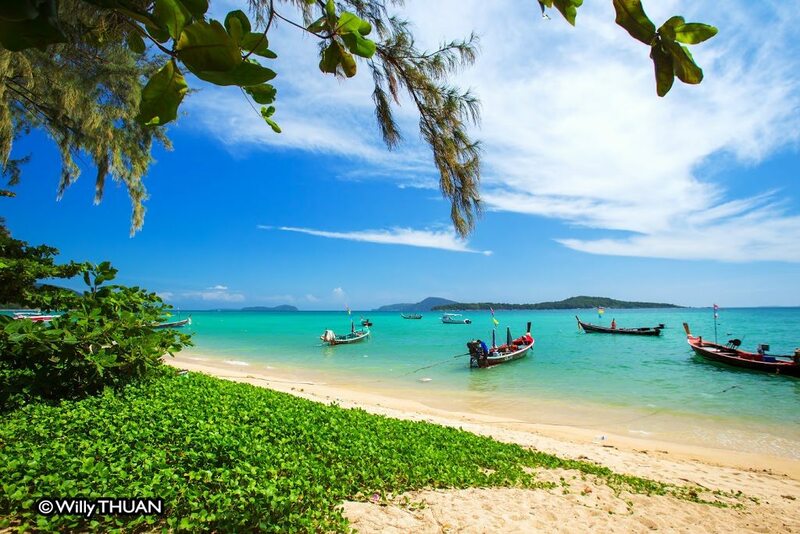 Located at the south end of Phuket island, Rawai is not a swimming beach but offer beautiful views on the many nearby islands in a peaceful local atmosphere. 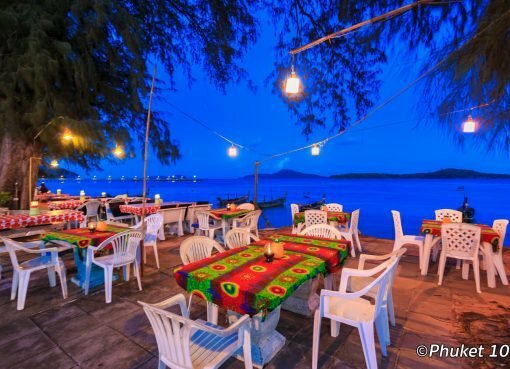 It’s a great place to enjoy fresh seafood and a good starting point to do some island hopping. Go to that beach!